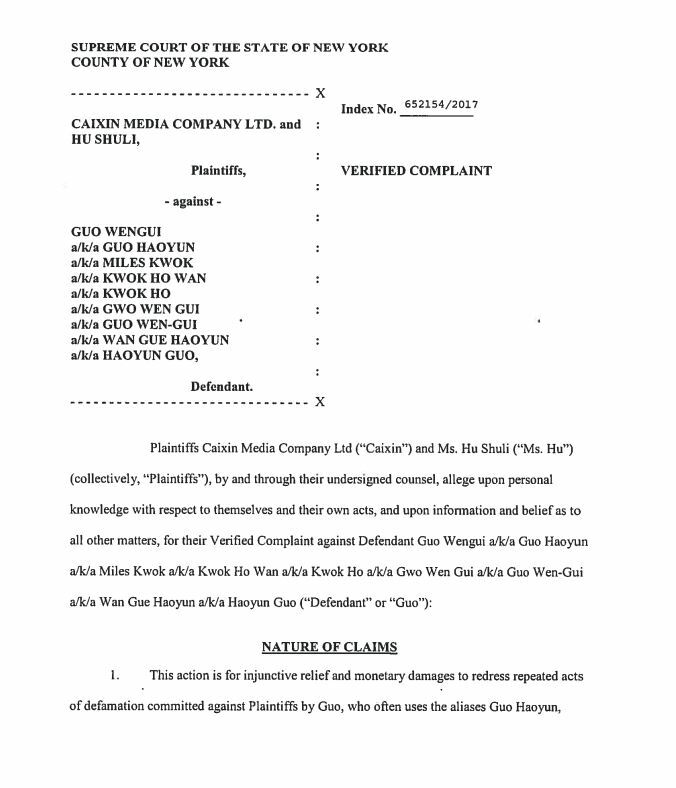 In late April, Caixin Media and Hu Shuli sued Guo Wengui in New York state court for defamation and other matters. Here’s a copy of the complaint. If you haven’t been following the case (and if you follow Chinese affairs, there’s no excuse for not knowing about Guo Wengui), here are some links. Note that these stories often have helpful links within them. 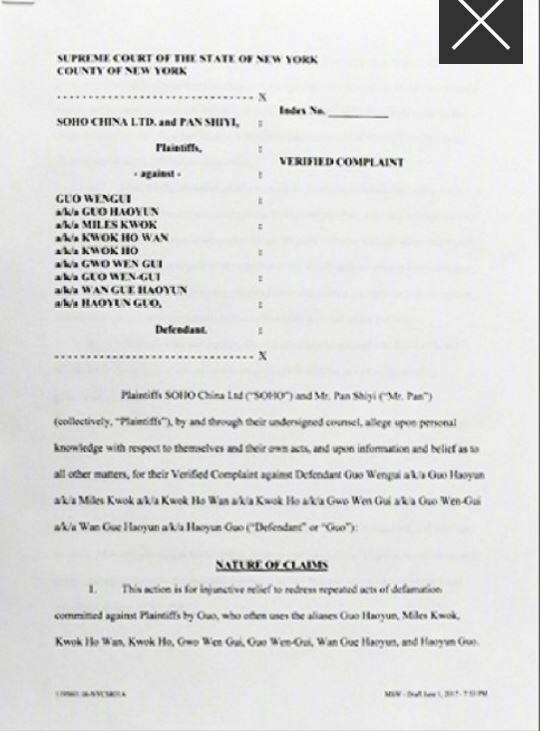 Another target of Guo’s, zillionaire real estate developer Pan Shiyi, has also apparently sued him for defamation in New York, although I haven’t been able to find the complaint on line.